Hamilton May is pleased to present an elegant residence located in Konstancin. Hamilton May presents a comfortable, spacious, entirely renovated residence - suitable for the most demanding clients. Perfect for organizing summer parties in the garden. Hamilton May is pleased to present a recently developed, elegant house situated in the vicinity of the Zdrojowy Park, in Konstancin-Jeziorna. Hamilton May presents a representative villa available for rent in Konstancin, on a beautiful plot with trees and greenery. The house is ideal for larger families. Hamilton May presents a family house offered for rent in a quiet neighborhood, surrounded by beautiful greenery and old trees. Hamilton May presents a representative mansion in the prestigious part of Konstancin, with a large garden and an indoor swimming pool. Hamilton May presents a representative manor in the prestigious area of Konstancin. 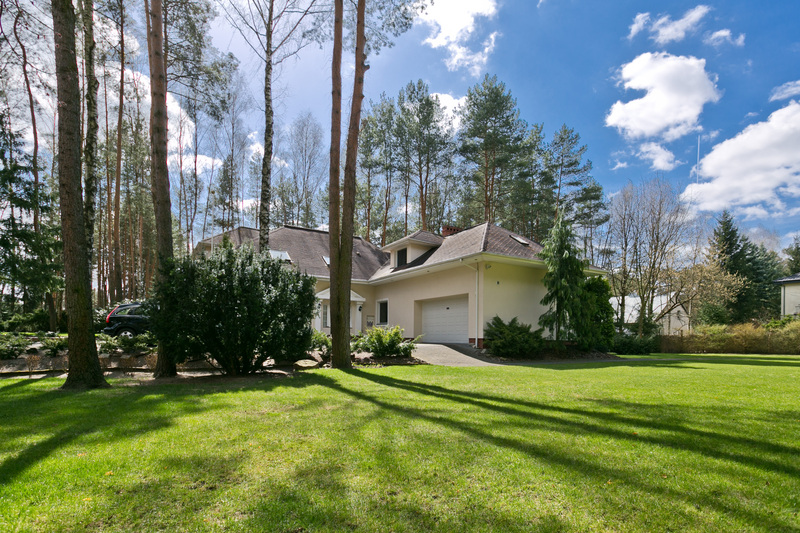 Hamilton May presents available rental offers of properties located in Konstancin-Jeziorna. Konstancin-Jeziorna is a town located about 20 km southwards from center of Warsaw and a part of its metropolitan area. It's an exceptionally prestigious spot, with major health resort values, being only place of this kind in Warsaw's neighborhood. With its peaceful environment, unique micro-climate and convenient road connection with city center, Konstancin for decades has been one of the most expensive and prestigious spots in Warsaw metropolitan area and a home to numerous people from crème de la crème of Polish political, business and cultural life. Traditional urban scenery of Konstancin-Jeziorna consists of historic villas (from XIX century and interwar period). Nowadays there are numerous new investments developed, some of them focused on luxurious mansions but also ones including semi-detached houses and also residential buildings. With new investment, Konstancin may offer wider range of properties for its potential inhabitants. Town still has big urban potential for further growth via to both its infrastructure and adjacent spaces. An important spot on a map of Konstancin-Jeziorna is American School of Warsaw. Its presence sumed up with mentioned charakteristics makes Konstancin home for a big group of foreign professionals working in Warsaw. Konstancin-Jeziorna has been one of the most prestigious spots in Warsaw area for years - this address is directly connected with high social status. Growing society of expats is another factor that stimulates market here. Properties prices in Konstancin-Jeziorna are among the highest in Warsaw aglomeration, however there are still significant differences in pricing amongs various parts of Konstancin.